HALT!!! Sweetie, don’t do another thing until you read this post! You NEVER, ever want to sign a non-compete agreement. You are a business owner and you are in business to work with more than one client. Signing a non-compete agreement, especially those poorly written generic ones that far too many people buy at their local office supply store (or worse, the freebies found on the Internet), could effectively and potentially put you out of business. You ALWAYS want to consult with an attorney in legal matters like this, and never sign any agreement of this nature before you do (which, personally, I recommend you never do; it has no place between two independent business operators), and especially in cases where you don’t realize the legal ramifications and rights you may be signing away. Now, your client may be talking about some kind of confidentiality/non-disclosure agreement (just using the wrong terminology), something to protect his or her proprietary business information and intellectual property that you may have access and become privy to while working together. That, of course, is perfectly reasonable. In fact, you may have your own proprietary information and trade secrets you want to protect and want to have clients sign your NDA as well. However, it is not your role to provide legal documents of that nature to clients on their behalf. That is something every business owner must do themselves, consulting with their own attorneys. When they want to protect something in their business, they provide the documents to you. And vice versa. In the case of subcontracting for colleagues, there are reasonable expectations that you are expected not to market to nor steal their clients. But there is specific language for that that an attorney can and should look over or provide so that you aren’t signing some kind of blanket non-compete that asks you not to do business in certain areas or do the work you do for a certain period of time. That’s what you do not want to be signing away or agreeing to as, again, you are a business. This is an area of business law you need to bone up on if you are going to be a smart, responsible, knowledgeable business owner. And it’s an example of an area you may often need to educate clients in as well (when they ask you to do things that just aren’t your responsibility to do). 4 Comments Posted in Best Biz Practices, Clients, Confidentiality, Dear Danielle, Legal. Bookmark the permalink. 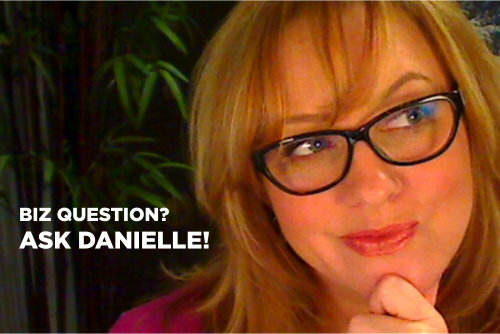 Dear Danielle: What Is My Guarantee? For a relationship with an administrative support partner to work, you must first understand that this is a business-to-business relationship. I wasn’t sure from some of the terminology you used that you understood that so I feel it’s important to clarify this. As far as know how it works, that’s the beauty of working with professionals who are in business for themselves. You don’t have to figure out how it works. That’s not your burden to shoulder. They will lead that process for you. As business owners (not employees), we each have our own systems and processes for getting thing started with a new client. One of the first things we do with any prospective client is have a conversation with you (i.e., consultation) where we ask you questions to learn more about you, your business and your challenges and goals in growing your business. From there we make our support plan recommendations and together decide where the best place is to start supporting you. If we decide to begin working together, we then give you the information you need to know about how our business works and what our policies and procedures are for communicating and submitting work requests. As you consult with people in our industry to find the one who is right for you, they will explain how these things work in their own particular business, and how they can help you get started with their service. As far as what assurances or guarantees you can expect, much of that is going to depend on how you go about your selection process. Each person is an independent business owner. That means, you are going to need to do your homework, review websites and then talk with those who pique your interest and present themselves as the best qualified to meet your needs and the best match in terms of personality and chemistry. None of us ever has any foolproof, 100% guarantee that we won’t have any problems with a service provider we select. As consumers, all any of us can do is try to make the most educated choice based on value, quality, competence and fit. That requires us to do our homework. Beyond that, there simply will need to be a minimum level of trust extended or else there is no basis for the business relationship. Of course, I don’t advise any client to hand over vital, secure personal or business information right off the bat. Keep in mind that this is an ongoing, collaborative relationship. As you continue to work together, your relationship and trust level evolves. If at some point it makes sense to give your administrative support partner access to certain security information in order to conduct work on your behalf, that’s something you can decide at any point along the way. 2 Comments Posted in A Message for Clients, Administrative Consultants, Administrative PARTNERING, Client Love, Clients, Confidentiality, Dear Danielle, Legal, Policies & Procedures, Relationships, Setting Proper Expectations and Understandings, Working with Clients. Bookmark the permalink.